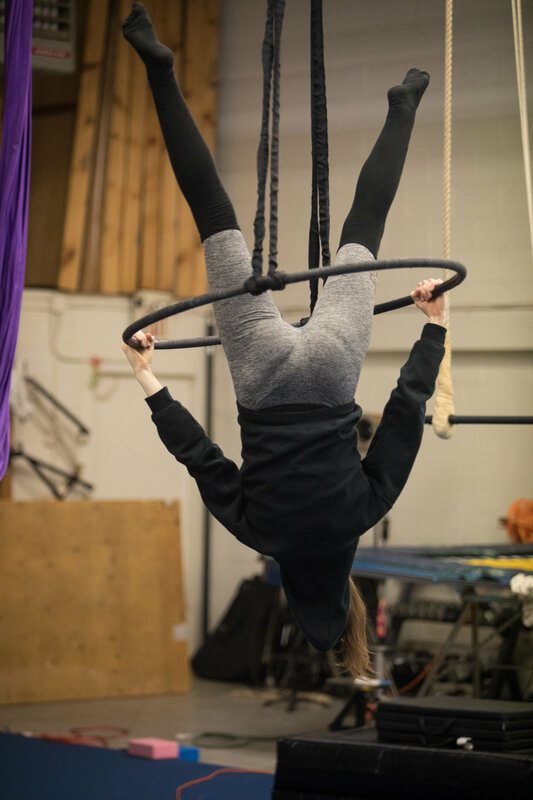 Tippy Lyra is one of the most dangerous apparatuses in our gym, it is a lyra that is attached to two ropes on opposing sides so that it can rotate on an axis. Although it looks like a lyra / aerial hoop is behaves very differently. Our very own Josephine is thrilled to offer a workshop in Tippy Lyra for intermediate- advanced aerial students. Sign up for this month long workshop. Limited spots are available.